This weekend, on my usual fun treasure hunts, I found a wonderful book on the history of United Airlines. And of course since it's Marilyn Monday, I'm sharing an image of her from the book. 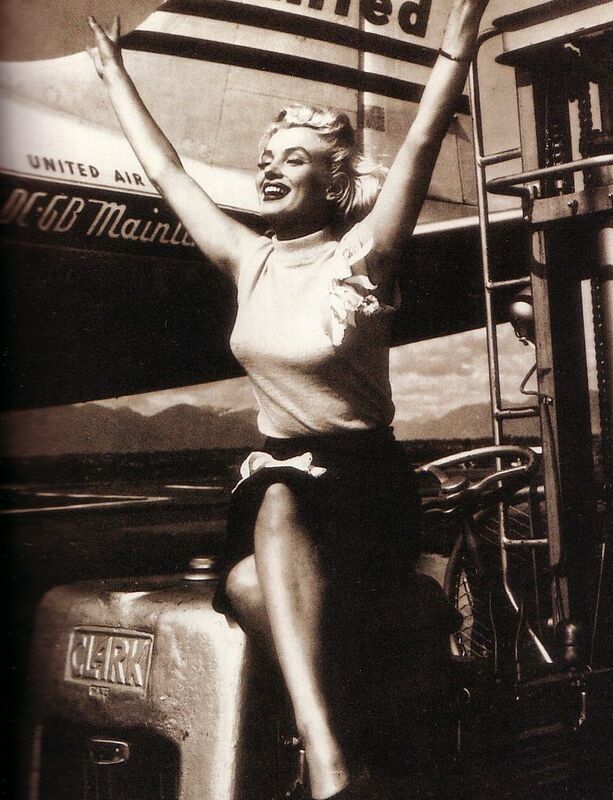 Its doesn't give me any detail on this image other than it's from the United archives and that there were always celebrities flying. These public relations photos became icons of the Age of Flight. I haven't ventured too far into the book yet, but I love historical books like this. There's more to come from this for future blog posts I'm sure, but for now I hope you have a Happy Monday. Let this Speedo Make You Smile!